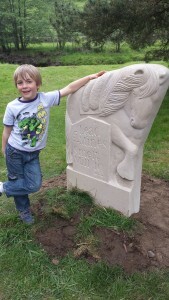 We have interpreted Dukesfield Arches and the carriers routes in a variety of ways. 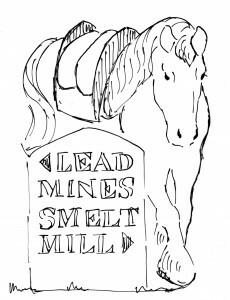 You can download walk, tour, family guide and ride leaflets here, and we have an interactive map of the lead heritage of the area in the History section of this website. 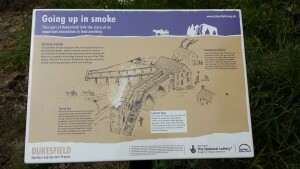 We also have four interpretive panels: one at Blaydon adjacent to the site of the old lead refinery, on the Keelman’s Way multi user route, and the other three are at the Dukesfield Arches. 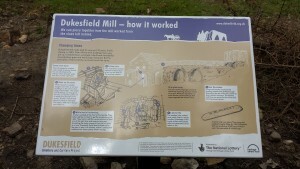 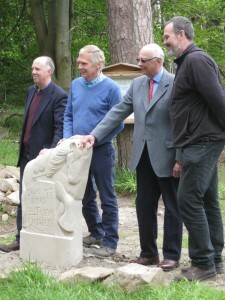 The first introduces the site and its history using reconstruction drawings of the smelt mill. 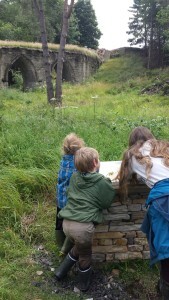 They also explain how the smelt mill was powered by water and peat, and show what we found out through our archaeological investigations of the chimneys and flues across the tops of the Arches.